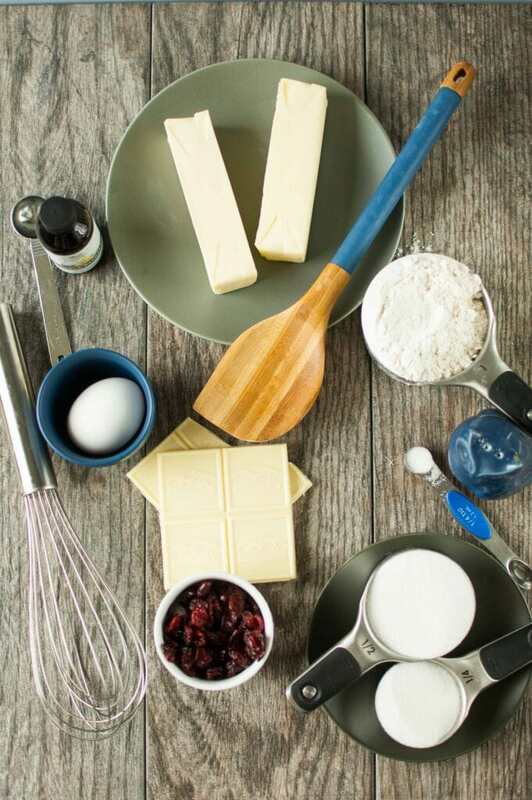 How’s your holiday baking coming along? Done? Haven’t started? We are planning to do a little this weekend and then will do some more at Grandma’s house on Christmas Eve. I often tend to get myself in a little over my head in all the things I try to bake, so this year we will keep it simple! 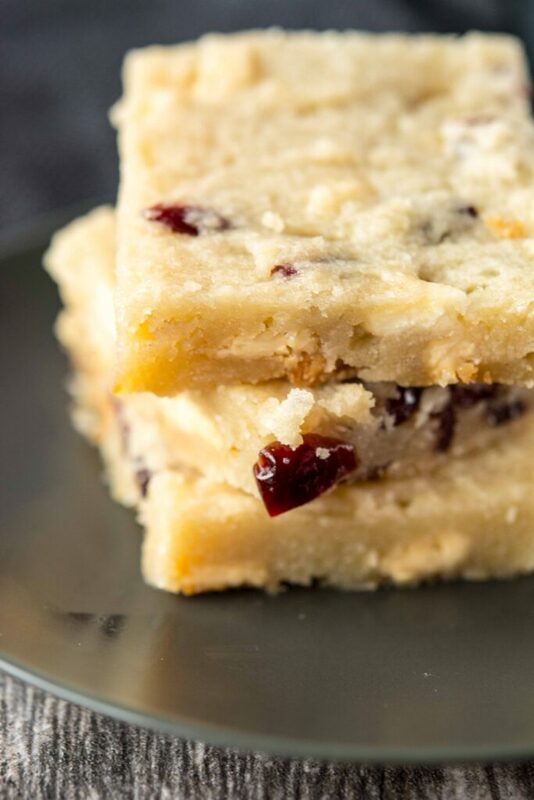 I generally prefer cooking to baking and savory to sweet, which I guess is why I don’t have a baking blog 🙂 But, I do sometimes like to make some fun cookie bars or cupcakes and when I can I even use the slow cooker instead of the oven! It’s a great way to get your baking done without having to babysit the oven! 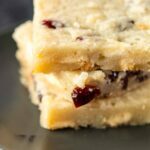 I love these cookie bars because they are not overly sweet. 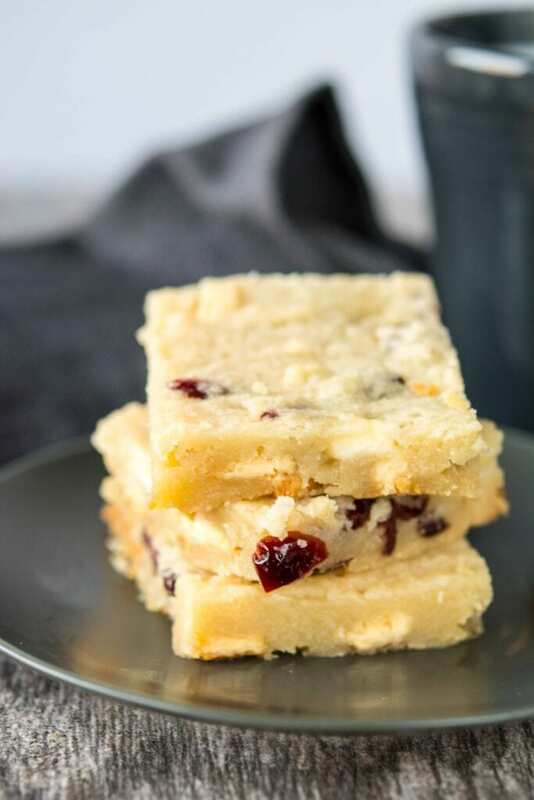 They have a delicious buttery flakey texture and with the addition of cranberries and white chocolate they just seem like Christmas! If you are like me and tend to go the directions of break and bake then you will like the simplicity of these bars. A few ingredients come together in a single bowl! So simple my four year old was able to help me make these! 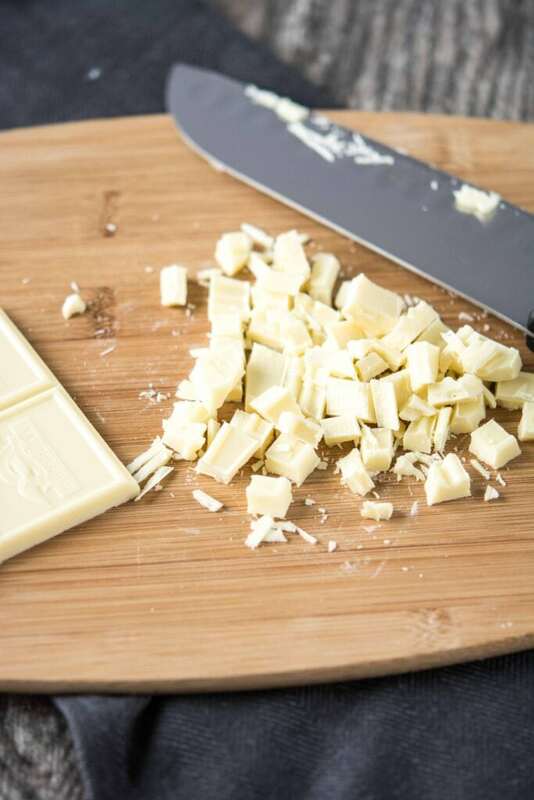 The star of the show is going to be your white chocolate, so use a good quality baking bar or baking chips. 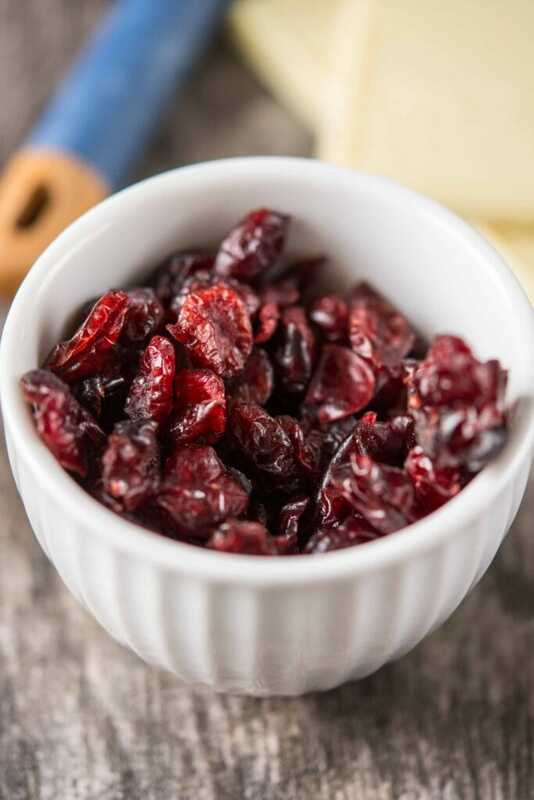 Also just a note to make sure your dried cranberries are sweetened. 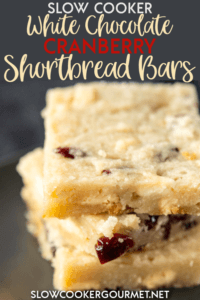 Even though I don’t like things super sweet, I don’t think I could handle tart cranberries in my cookies! 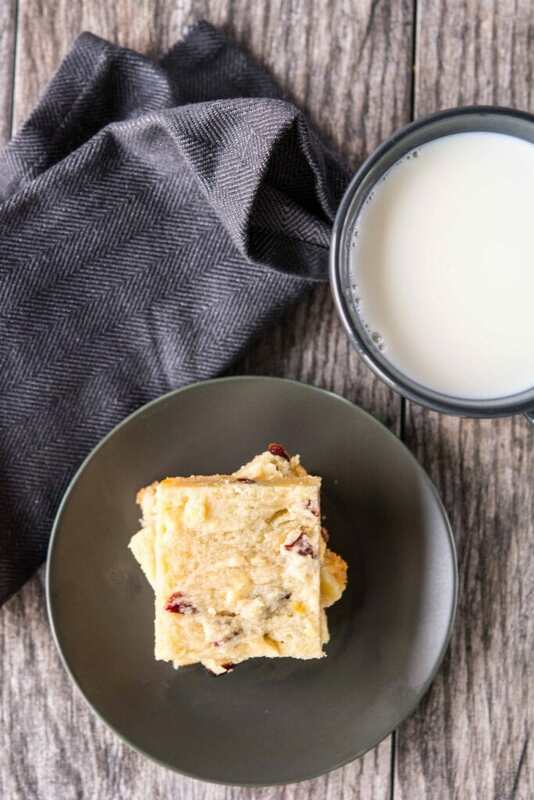 A fun a simple holiday treat that you can “bake” right in your slow cooker! These were absolutely delicious. Used good chocolate (not white morsels) and they were perfect. Not too sweet. Yum! !